New Audi R8 Style LED strips for the European looks ! 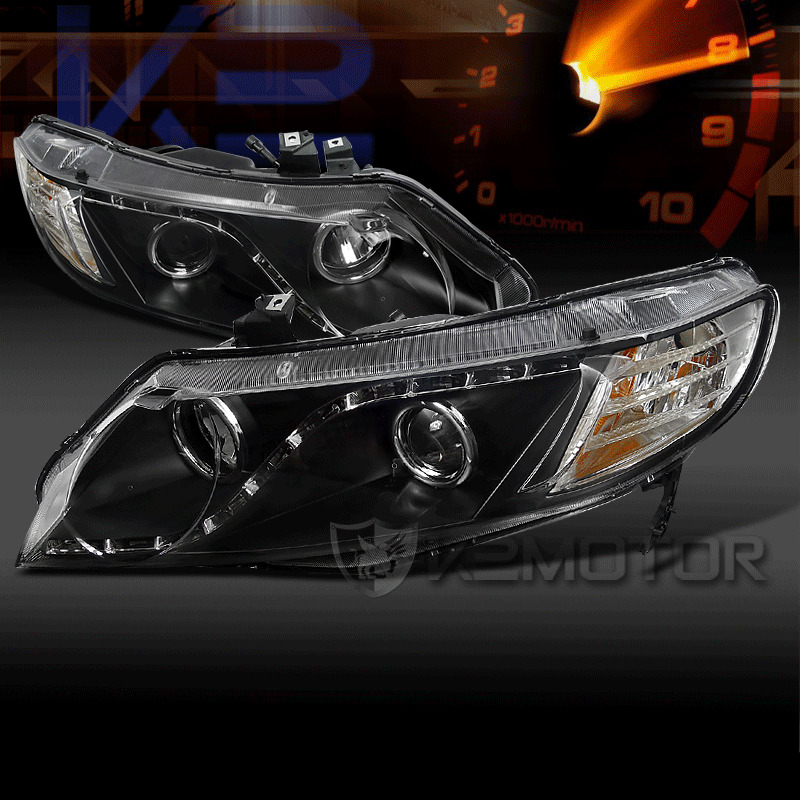 Hurry and Buy your new Honda Civic Projector Headlight at K2 Motor! We offer free shipping no matter what the cost on all projector headlight within the U.S. Brand New 06-11 Honda Civic R8 Style Black Projector Headlights. Replace your old or damaged headlights with out aftermarket projector headlights for only a fraction of factory cost. These projector headlights are made to fit perfectly on to your vehicle with easy installation with no additional wiring. These headlights will give your car a stylish and unique make over.